Resilience is the ability to thrive, personally and professionally, even during times of high pressure, rapid change and adversity. Resilient people are good at managing stressful situations and they bounce back quickly after adversity. Fortunately, resilience is not a fixed characteristic (like personality), it’s something you can learn and strengthen over time. Thrive offers a comprehensive resilience training programme supported by psychometric profiling, one-to-one coaching and skills-based workshops. Our resilience programmes are all based around a scientifically validated model of resilience: The Six Elements of Resilience and a new psychometric tool: The Resilience Quotient Inventory™ (RQi™). Find out more below. what do people say about our resilience training? “The course was amazing. Very positive people and great energy in the room." Kasia Gorska, Cranswick foods plc. Our resilience programme is structured around an evidenced-based model: Six Elements of Resilience (left) and supported by a new psychometric tool: The Resilience Quotient Inventory (RQi)™. 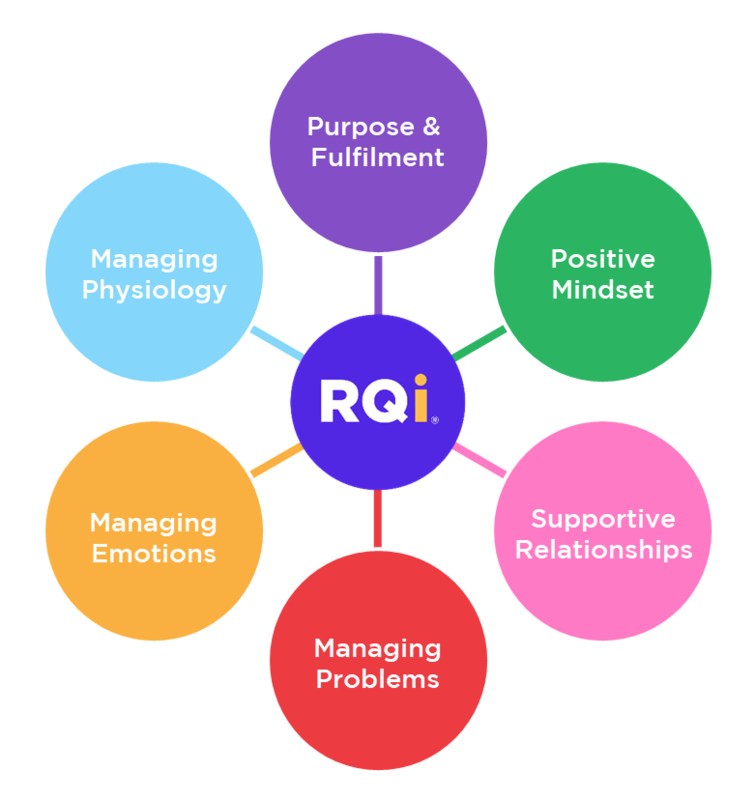 Based on over 4 years of research, the RQi™ provides a rapid and accurate measure of resilience for individuals and teams. It measures beliefs, behaviours, and environmental factors that enable people to cope well under stress and bounce back from adversity. The RQi™ is used as a key element of our resilience programmes alongside skills-based workshops, one-to-one coaching (with qualified practitioners), team resilience programmes and on-line learning. We also offer physiological stress monitoring (e.g. 72 hr heart rate variability and cortisol profiling) as part of a comprehensive programme for executives. We believe this is the most robust and objective support package available anywhere in the world. Download details of our full resilience programme here (it’s a large file so may take a few moments). The learning objectives for each of these modules are listed below.